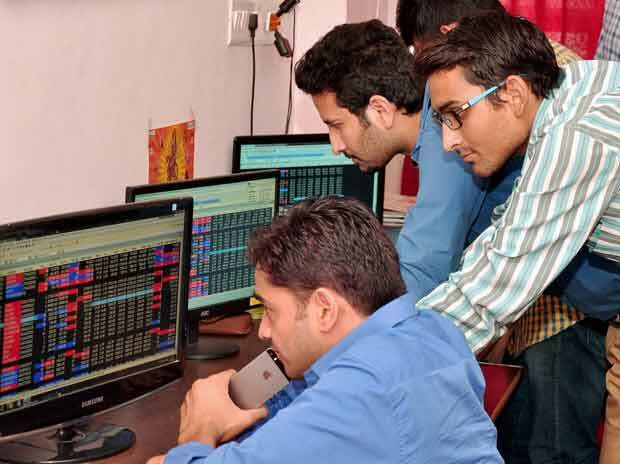 The stock locked in upper circuit for the second day in a row, up 5% at Rs 16.83, trading at its highest level since September 25, 2018. Shares of A2Z Infra Engineering locked in upper circuit of 5 per cent at Rs 16.83 apiece on the BSE, hitting a five-month high, on improved quarterly financial results and settlement of dues with the State Bank of India (SBI). The stock was trading at its highest level since September 25, 2018. In the past three weeks, it has zoomed 66 per cent from Rs 10.14 after the company reported strong operational performance in the December quarter (Q3FY19). In comparison, the S&P BSE Sensex was down 2 per cent during the same period. Till 12:14 pm, a combined 200,603 equity shares changed hands on the NSE and BSE. There were pending buy orders for 33,218 shares on both the exchanges, data shows. The stock is trading under trade-for-trade or ‘T’ group segment on the BSE and ‘BE’ series on the NSE. In the ‘T’ and ‘BE’ segment, no speculative trading is allowed and delivery of shares and payment of consideration amount are mandatory. A2Z Infra said the increase in the price may be related to the better financial position of the company as disclosed in the improved quarterly financial results. Further, the company has entered into full cash one-time settlement with the State Bank of India, a major lender of the company. The company’s Ebitda (earnings before interest, taxation, depreciation and ammortisation) rose nearly nine times to Rs 18.94 crore in Q3FY19 due to lower finance cost. It had posted Ebitda of Rs 2.19 crore in Q3FY18. The finance cost during the quarter declined to Rs 9.58 crore from Rs 34.73 crore. Operational revenue increased 71 per cent to Rs 152 crore against Rs 89 crore in the corresponding quarter of previous fiscal. A2Z Infra said it was working hard to reduce the loan liability at standalone and group level for reducing unsustainable loan liabilities. The impact of loan reductions shall be positive on the financial health of the company and it'll be able to put more efforts on operations to generate more business and profitability. The company and its subsidiaries have received many new orders worth of Rs 526 crore from various government and private clients till February 13, 2019, in the current financial year. As of December 31, 2018, Edelweiss Asset Reconstruction Company held 6.49 per cent stake, while Edelweiss Custodial Services held 1.32 holding in A2Z Infra Engineering. Ace investor Shankar Sharma holds 4.66 per cent stake in the company, the shareholding pattern data shows. In past one year, A2Z Infra Engineering had underperformed the market by falling 71 per cent from Rs 33.45 to Rs 9.72, as compared to 8 per cent rise in the S&P BSE Sensex till February 6, 2019.